Use fabric to capture a special location. Maybe it's your favorite vacation spot, your neighborhood, or your hometown. 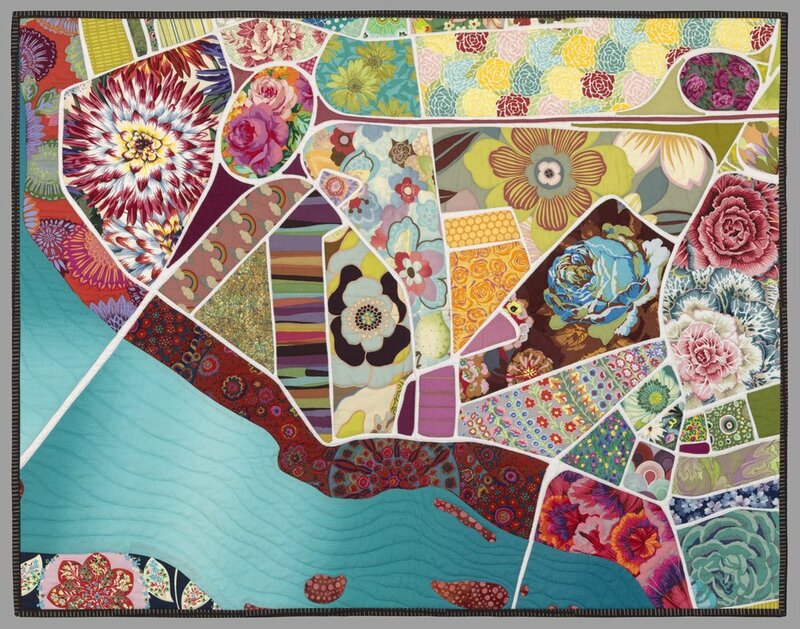 Over the course of the workshop, participants learn both pattern-making and improvisational quilting techniques to create personal map quilts. Bring a large paper map of a location you would like to replicate (approx. 24”x36”), your favorite fabrics and threads, and a willingness to experiment. Mark your place in the world!